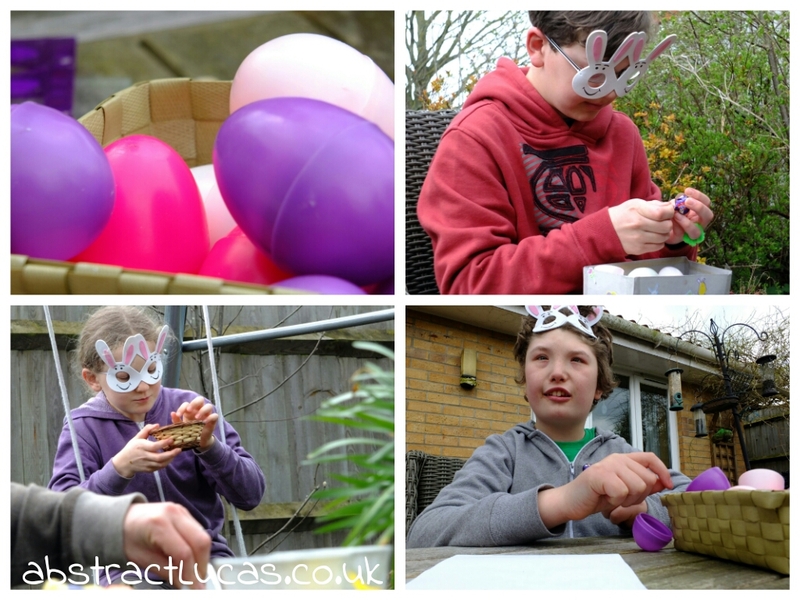 I love that our chocolate hunt in the garden has become a family tradition - Smiler, Noah and Petal would stage a riot if we didn't do it I think! 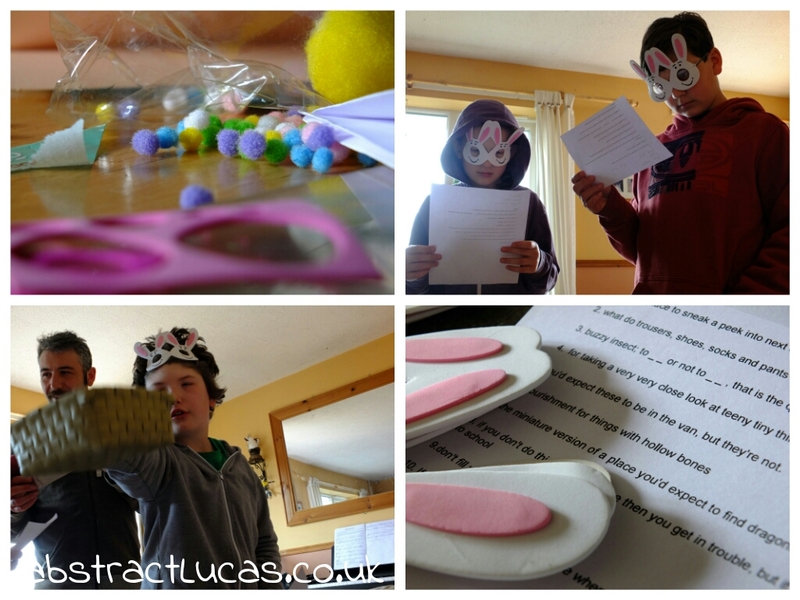 All three had clues this year to find their eggs, and while Smiler needs considerable support - not least because he can't read - he enjoys working out the clues. 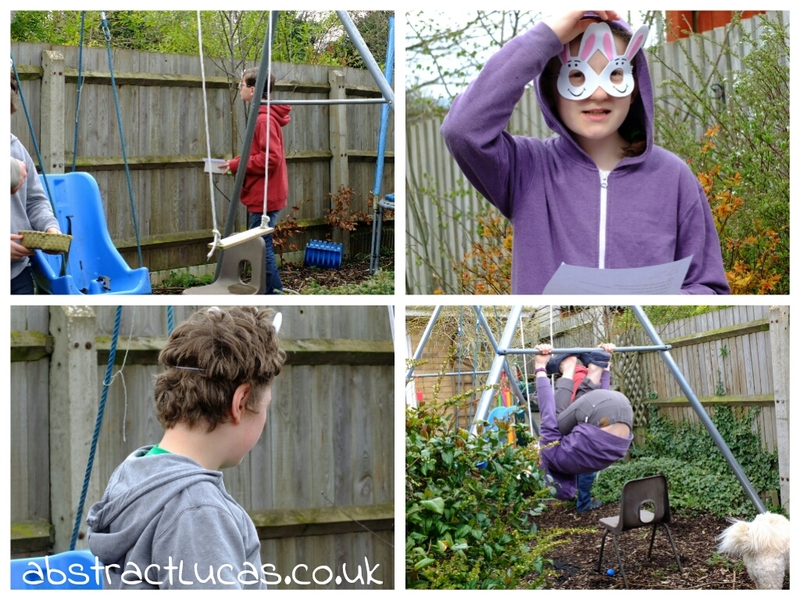 ... with just a minor diversion to do somersaults on the swing frame. Of course. While Mr Manley helped Smiler I casually sneaked into their rooms and put big eggs under their bed covers, and then sat back out in the garden in the sunshine, watching Noah trying to work out what "a buzzing insect; to _ _ or not to be; always followed by U" might mean*. The plastic eggs we hide around the garden were from Woolworths - yes, they're that old. They open up and we fill them with a couple of mini eggs, or a mini caramel egg, or something cute - last year there were pompom chicks, this year pompom bunnies and sheep. Once they'd found their eggs and started munching the chocolate, I wondered aloud if anyone was feeling sleepy, and might want to have a nap - Noah and Petal looked at one another and ran to their room, proudly emerging with their chok-a-blok mint eggs. 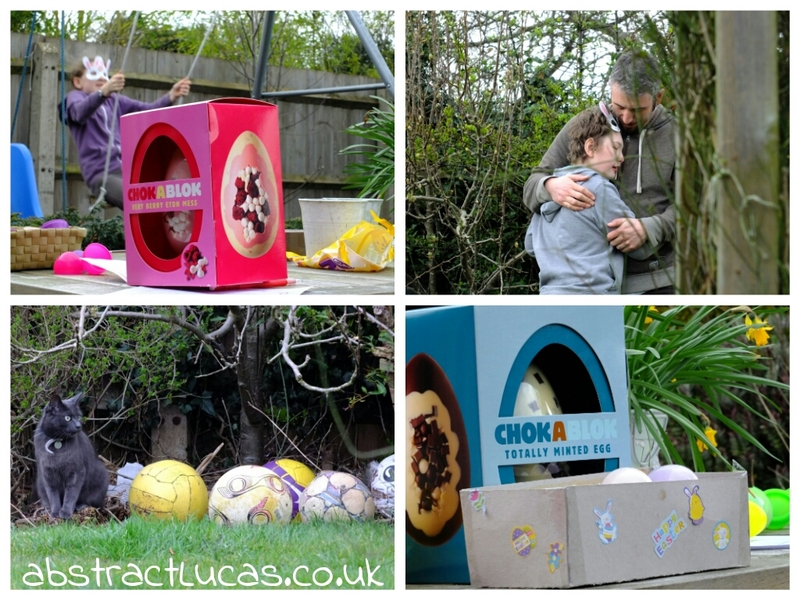 When he saw they had big eggs Smiler decided to go and check his room, and returned to the garden with a huge grin and his white chocolate eton mess egg. So that was our chocolate hunt. For the rest of the afternoon we sat out in the garden, Smiler, Noah and Petal drunk on chocolate, all enjoying the sunshine and the familiarity. Maybe next year we'll be hunting in a different garden, but I don't think the hunt itself will change much - I think we'll all be happy to continue our story somewhere new. I love the anticipation, and the routine ... and the chocolate. These are the days that I fear losing, that I photograph so I can remember. The smiles and the laughter and the scrunched up faces trying to work out a clue, even the grumbling and the teasing and the comedown from the sugar high. Do you have anything like this that you do with your family? Activities that might vary in the details but are firmly settled as events in your family calender? *bee, be, Q. BBQ. Barbecue. Thanks Melinda, it was great fun!